Marine environments support the livelihoods, economies, and quality of life for communities around the world. But growth of coastal populations and increasing demands on marine resources are putting the future of ocean and coastal resources at risk through impacts such as overfishing, wetland drainage, climate change, and pollution of coastal waters. Given these demands, it is vital to build capacity--the people, the institutions, and technology and tools--needed to manage ocean resources. Unfortunately, many capacity building efforts focus on specific projects rather than on capacity building as goal unto itself, resulting in activities that are not funded or sustained past the typically short project lifetime. This book finds that the most successful capacity-building efforts meet the needs of a specific locale or region based on periodic assessments and include plans to maintain and expand capacity after the project ends. The report recommends ways that governments and organizations can help strengthen marine protection and management capacity, including conducting periodic program assessments, making plans to sustain funding, and developing leadership and political will. 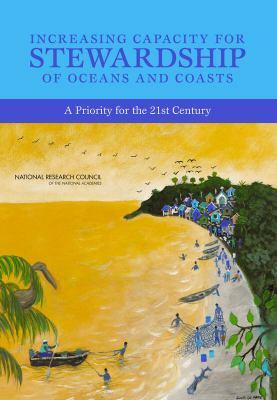 The book was produced at the request of Gordon and Betty Moore Foundation, the President's Circle of the National Academies, the David and Lucile Packard Foundation, the National Oceanic and Atmospheric Administration, the National Science Foundation, the Marisla Foundation, and the Curtis and Edith Munson Foundation.National Research Council (U.S.), Committee on International Capacity-Building for the Protection and Sustainable Use of Oceans and Coasts Staff is the author of 'Increasing Capacity for Stewardship of Oceans and Coasts', published 2007 under ISBN 9780309113762 and ISBN 0309113768.